Continuing the Council’s commitment to educating the public on roadway safety through community outreach, the Delaware Safety Council recently traveled to the newly created Delaware Design School in Newark, Delaware. As part of the Council’s ongoing Distracted Driving Campaign, topics included the dangers of distracted driving and the importance of recognizing hazardous driving conditions. Highly decorated, retired Delaware State Police officer, safety consultant, and current Delaware Safety Council instructor Willie E. Smith, spoke to an audience of approximately 300 students. 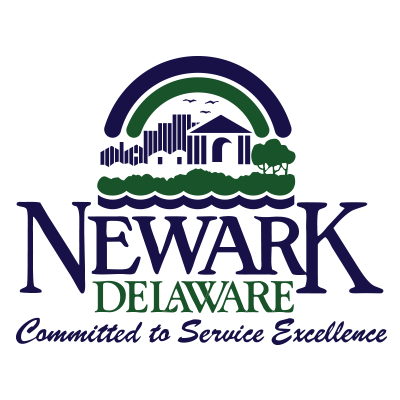 The goal of the Council’s Distracted Driving campaign is to reduce the number of accidents on Delaware roadways by increasing public awareness of dangerous driving habits. The Safety Council has met with various schools, government agencies, and businesses throughout Delaware to discuss the dangers of distracted driving. Those interested in having the Council visit their site should call 302-276-0660 and ask to speak with the Program Manager, Lindsey Root. As the Delaware Safety Council continues to seek new and innovative ways to serve the community, the council is pleased to announce the launch of our Pediatric CPR, AED and First Aid course. This course is provides schools, childcare providers, coaches and others with the skills needed to handle emergency situations involving children. Upon completion of the course, each student will receive an American Safety and Health Institute (ASHI) CPR Certification Card valid for 2 years. This course meets OSHA standards. 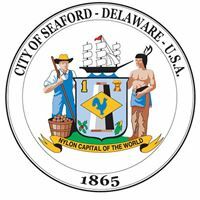 Continuing on our tradition of reaching out to communities throughout the state of Delaware, the Delaware Safety Council recently spoke with City of Seaford employees about the dangerous of distracted driving, and how to avoid hazardous conditions on the road. The Delaware Safety Council is proud to announce the launch of their annual Smoke and Mirrors campaign. This campaign is aimed at high school students throughout the State of Delaware. During the school year DSC staff visit high schools in each county and discuss the dangers of tobacco use. Last year the DSC reached over 1,000 high school students. Post campaign data from the 2015 – 2016 school year revealed that 34% of students surveyed admitted to using tobacco products in the past. The data also revealed that 90% of participating students learned a new fact during the presentation, and 74% admitted to learning a fact so significant that it caused to them stop using tobacco products all together. This year the Delaware Safety Council hopes to broaden their reach and engage more students. This is a collaborative and interactive program where students are able to win prizes such as Apple Music codes. The program is free to all high schools and made available through the Delaware Division of Public Health and the American Lung Association. Building upon our mission of promoting safety to organizations throughout the state of Delaware, the DSC recently spoke with employees at Air Liquide's Research and Technology Center about safe driving practices and how to avoid dangerous driving situations. At the Delaware Safety Council, we are constantly evaluating the safety and wellness needs of Delawareans, up and down the state, from every walk of life. 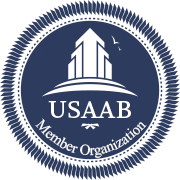 After speaking with countless members of our community, we have collaborated with a highly decorated veteran of the Delaware State Police to develop a Personal Safety and Self Defense Awareness Course. Willie E. Smith spent over twenty years with the Delaware State Police, and has since his retirement, worked as a safety consultant for various domestic and international police forces. During his time with the Delaware State Police, Smith has trained police officers in various defense tactics such as handcuffing, self-defense, TASER instruction, and the use of non-lethal devices. His leadership and dedication to public safety earned him the Naamans Rotary Club’s Semi-Annual Trooper of the Year award, the Delaware Jefferson Award for Public Service, and a Delaware State Police Superintendent Citation for exceptional performance. In addition to his experience, Mr. Smith received a Master’s Degree in Organizational and Strategic Leadership and has spent the last 30 years teaching Tae Kwon Do and Karate. Due to his years of experience teaching and creating specialized courses both as a civic leader and adjunct professor at Springfield College, Smith and the DSC have created a course that can be useful to everyone from college students to senior citizens. This course helps students improve their personal safety and security awareness while also teaching them how to recognize a potentially unsafe environment or situation. They are taught how to react, avoid unsafe possibilities, and survive any hazardous incidents. Topics will also include, home security and safety, and scam awareness and security. On site classes and presentations are provided by request and can be catered to any audience. Members of the Delaware Safety Council attended the Health and Wellness Expo hosted by the New Castle Chamber of Commerce at the University of Delaware's Star Campus. Staff members Elizabeth Hoffman and Devin Bonner spoke with various organizations about the health and wellness programs offered at the Delaware Safety Council. Joined by other Delaware Non-Profit organizations, the Delaware Safety Council met with legislators in Dover to discuss the positive impact Non-Profit organizations have on Delaware citizens. The event was hosted by the Delaware Alliance for Non-Profit Advancement. As the DSC's reputation for safety and community outreach grows throughout the state of Delaware, JPMC's Christiana office invited DSC staff members to attend their Health and Safety Fair. We were given the chance to speak with JPMC employees and their loved ones about our variety of health and safety courses. As we continue to build relationships with local communities we hope to attend more events like these in the future. As the Delaware Safety Council wraps up its Smoke and Mirrors campaign, and with final numbers pouring in, we are pleased to announce that this years campaign has surpassed all expectations. Thus far, with the support of the Delaware 87ers, and the American Lung Association, our efforts have reached over 1000 high school students in Delaware. As the Delaware Safety Council continues to build upon its mission by promoting the protection of life and health in the workplace, in the home, on the highway, and in the community, the Delaware Safety Council is pleased to announce the inauguration of our new Bloodborne Pathogens course. Building upon the successes of our other personal health related courses such as Healthcare CPR, CPR & AED, First Aid, and Childcare and Babysitting, this course is intended for individuals and employees who may come into contact with blood and/or infectious and hazardous materials. This course will be taught by our seasoned and well trained instructors and is ASHI certified. This ASHI certified course will inform students of what bloodborne pathogens are and how to reduce the risk of exposure to themselves and others. This course meets the training requirements of the U.S. Department of Labor, OSHA Bloodborne pathogens standard. The Delaware Safety Council continues to meet with individuals, legislators, and organizations throughout the State in an effort to continuously meet the safety needs of Delawareans and to discuss pertinent public safety information, issues, and concerns. Continuing on the success of our statewide distracted driving campaign, this month we spoke with 200 Goodwill employees on how to avoid dangerous distracted driving habits. As the weather conditions continue to cause hazardous driving conditions, paying attention to the road is becoming increasingly important. The Delaware Safety Council is once again launching our Smoke & Mirrors Campaign. This fun and interactive program allows students to win prizes while also learning the dangers of tobacco use. Last year we visited 5 high schools throughout the state and reached approximately 500 students. This is free to any high school who wants to be involved. This month the Delaware Office of Highway Safety held a teen driving safety event at Saint Mark's High School in Wilmington, Delaware. We had the honor of being invited to the event and spoke with teen drivers and their parents about the importance of safe driving and other safety courses offered by the Delaware Safety Council. Earlier this month the Delaware Safety Council was given the opportunity to speak with approximately 200 DuPont employees at their new global headquarters in Wilmington, Delaware about the dangers of distracted driving.The message was well received by those in attendance. The Delaware Safety Council plans to continues its campaign on the dangers of distracted driving to other organizations throughout the state. Established in 1919, the Delaware Safety Council has always made the safety and health of all Delawareans a top priority. While the DSC is primarily known for our various defensive driving courses, as well OSHA and industrial trainings, our proactive staff has broadened the reach of the Delaware Safety Council by implementing new community outreach initiatives. Thus far, one of our most successful programs has been our Smoke and Mirrors program. This program, which has been sanctioned by the American Lung Association and sponsored by the Delaware 87ers, has reached 488 students in five high schools. Our interactive program not only allowed students to win prizes, it also taught students the dangers of tobacco use in an effective manner. After completing the program, 74% of students vowed to quit or never start smoking. At the Delaware Safety Council we believe educating students about the dangers of tobacco will give them the essential tools needed to make educated decisions about their tobacco use in the future. Reaching young Delawareans will greatly benefit future generations. In the spirit of continuing our community outreach efforts, last November the Delaware Safety Council partnered with the Department of Education within Sussex Correctional Institute to create a re-entry program for inmates. Realizing the difficulties former offenders incur during their transition into the outside world, our partnership provides inmates a chance to earn flagger certifications. As of now, roughly one hundred inmates have participated in the program and our partnership with the Department of Education is expanding to include Howard R. Young Correctional Facility. There is an opportunity to decrease recidivism rates among participants in our flagger trainings. We believe these offenders deserve a second chance at earning an honest living. After the progress made in our aforementioned initiatives, we have expanded our efforts to include adults seeking to develop essential skill sets that will complement their continuing education. Partnering with the Adult Education Division of the New Castle County Vo-Tech School District as well as the James H. Grove Adult Education High School in the Red Clay Consolidated School District, the Delaware Safety Council will provide adults with life skills and certifications that will supplement their education process while students earn their GED® credential or high school diploma. Our goal is to ensure Delawareans from all walks of life have access to educational resources needed to make their lives and the lives of their loved ones better.